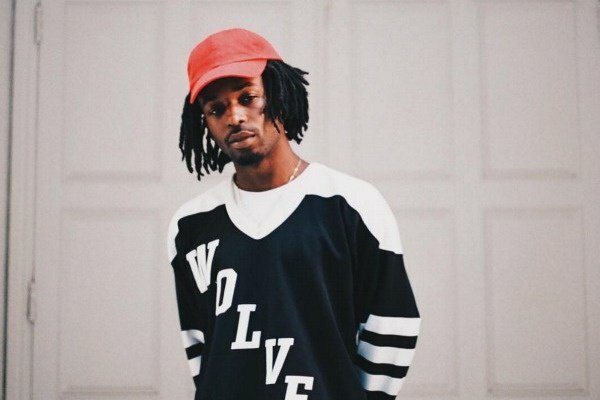 Jazz Cartier, despite his claims of standing out from the crowd, is the foremost artist within it. Born and currently residing in one of Hip-Hop’s growing cities, Toronto, thanks to Drake, and latching onto both Trap and Cloud Rap, his ascension to the ranks of notarized Soundcloud rapper was a given. Sure enough, with his 2015 mixtape Marauding In Paradise, Cartier immediately made a name for himself. With his quick follow-up entitled Hotel Paranoia many are questioning why exactly that name was made in the first place. It can’t be from originality, since his first couple dozen tracks feature almost nothing that hasn’t already been heard, so is it instead the fact that he’s accurately pinpointed the dead center of Hip-Hop’s rising tide and decided to live in it? Depending on where his career takes him, I call this place mediocrity. Something that swiftly captures a small, cult-like zeitgeist before tampering off as but a tiny blip to our state of mind at the time. He may only have two records under his belt, with a following that’s small even by Internet standards, but if you wanted to show someone what exactly the sound of New Age Hip-Hop is Jazz Cartier would be the guy to turn to. In that regard, Hotel Paranoia is great. In others that concern the music itself, it’s not. Before critics and fans start to sway this as a less imposing record, let me make something clear. Hotel Paranoia is on the same quality plateau as Marauding In Paradise. The issues arise in that it’s virtually the exact same record. There is no clear difference, and why would one expect there to be? It’s only been nine months since his debut, expecting a recognizable progression in sound would be foolish. About as foolish as releasing an album with no progression nine months after one’s debut. I say album because Cartier refers to it as such, when in fact there’s nothing to detach Hotel Paranoia from the mixtape labelling it deserves. Much like Marauding, Hotel Paranoia splits into half Trap, half Cloud then randomly jumbles them all together. There’s your bangers, your braggadocios boasts, your relational troubles, your pseudo-conscious rhyming. Even the instances of cohesion amongst the slapdash, that is the thematic concept, was done previously as well, with Marauding bookended by Adam & Eve sanctimonious songs and Hotel Paranoia centered around, well, a paranoid hotel. Both these themes are excellent and interesting, with visually-pleasing album covers to boost, making the loose of concept after the intro a shame. For this LP though the concept does leak into the second track, ‘100 Roses,’ with a nice crossover interlude that precedes it. That track is one of the best here, and further shows why Cartier is an excellent example of a trend-capturer. It’s got an ominous bass, horns, wired hi-hats, and Yeezus-like screaming. This is the type of vibrancy the rest of the LP needs, as many of the other songs tend to go by the books. So, while opener ‘Talk Of The Town’ and ‘100 Roses’ start the record off on a high note that fits all molds, the next track, ‘Red Alert,’ quickly dissipates any momentum as Cartier turns into Fetty Wap, possibly one of the worst artists to imitate right now. Sure it’ll get you views, but it’s just not good. It’s not the only abomination unfortunately, as Hotel Paranoia’s low’s are far sadder than Marauding’s. Around the middle of the album 'Illuminati Love Song,’ ‘After The Club,’ and ‘Better When You Lie’ forcibly take the train off the rails as Cartier tries his hand at singing. It’s the time when it became clear he was really trying to touch upon every possible trend happening right now. From A$AP Rocky to Travi$ Scott, it’s all been done before, and better. On ‘Tell Me,’ Cartier is accompanied by River Tiber for the hook, a great comparison shot as to why the Toronto rapper shouldn’t attempt everything on his own, as the singer does swell over the R&B-flavored hook. It’s right around this point on the record that things get a bit better, albeit a detour is what was needed. That track and ‘One Day / Feel Away’ take a serious look at the relational troubles he’s been mocking by throwing bangers over them throughout. They’re nothing special, but the breath of fresh air certainly helps. As does the return to that Kafkaesque eeriness with ticking clocks, kooky synthesizers and Cartier’s exorbitantly zany rapping. It’s a flamboyant finale that brings the energy back from ‘100 Roses’ for one last go around, a feeling that was missed in the bulk of the pages within. There are glimpses though, like ‘Opera,’ that ironically feature the cinematic nature of intro and outro, only doing so because, one, it was the lead single, and two, it sits snuggly smack in the middle of the album. It’s as if Cartier himself knows he can’t maintain conceptual semblance and hides it by displaying them at the most important moments. He’s a new artist, so it’s forgiven, but let’s hope time will allow for renewed invention. Because as of right now, Hotel Paranoia seems entirely needless. Not saying it’s bad, just already been done before, even by the artist himself. 16 tracks with narrow-minded appeal will never last as an album, but pick the 10-12 best cuts from here and you have a decent piece. For now though, the sound is too streamlined, too mimetic, too pedestrian to really amount to anything. It’s Marauding In Paradise part two, and for listeners who care about music outside of what knocks in their cars, Hotel Paranoia is disappointing. 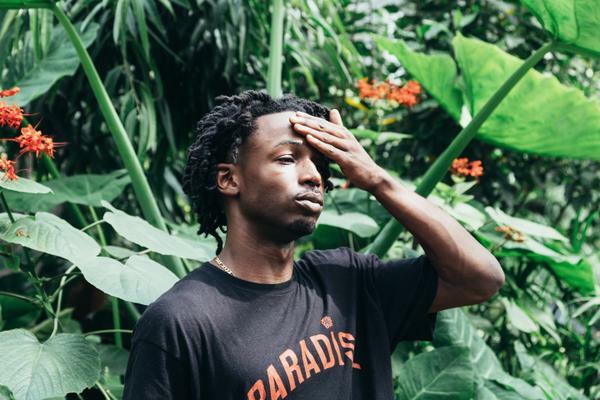 In context of cultural progression, Jazz Cartier’s sophomore release is a dud that fails to leap, walk, or even tip-toe in a forward direction. It lives in mediocre purgatory, a safe album that abides by all of Hip-Hop’s current rules to achieving relevancy by sheer dullness. Hey I stumbled onto this review from rateyourmusic. I gotta say, I disagree with a lot of this. I am a big fan of both mixtapes, so maybe take this with a grain of salt but... I think there is a reasonable progression of sound for a young artist. Obviously there are quite a few songs that sound exactly like Marauding In Paradise, but that's what gained him attention, it's to be completely expected. But there are also a lot of songs that are breaking new ground for him. Red Alert, while very derivative of Fetty Wap's style, was completely different than anything he's done before. I Know was more relaxed than 90% of what was on Marauding In Paradise. How We Do It was a completely new style for him, heavily sampling a classic song but making it his own in a way was impressive to me. There is nothing on his old mixtape that sounds like Better When You Lie or Tell Me. He branched out and tried several different styles and flows on Hotel Paranoia. I would give this project an 8, not as good as Marauding In Paradise due to a couple incredibly corny songs (Illuminati Love Song and After The Club) but it was a good next step in his career. Thanks for your response! You definitely make good points, and I won't argue with any of them cause they do seem accurate. I still feel the overall approach to it is the same as MiP, which I agree is expected, but still not something to ignore. And while he does try new things they tend to be things already done before by others, like you said with Fetty Wap or a handful of other Trap artists. The different things he tried on MiP, like the awesome second half of 'Guardian Angel' had interesting samples and vocal interludes taken from movies. Most of that was gone here, so I do think the different things he tried on MiP were better than Hotel Paranoia. Either way, dude's talented, no doubt about that. Just hoping he can take it to the next level by switching up a typical Trap format.